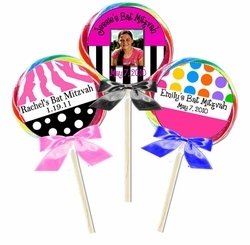 Our Bat Mitzvah Personalized Lollipops are OH SO SWEET! Just like the Swirl Pops you had as a kid but even better! 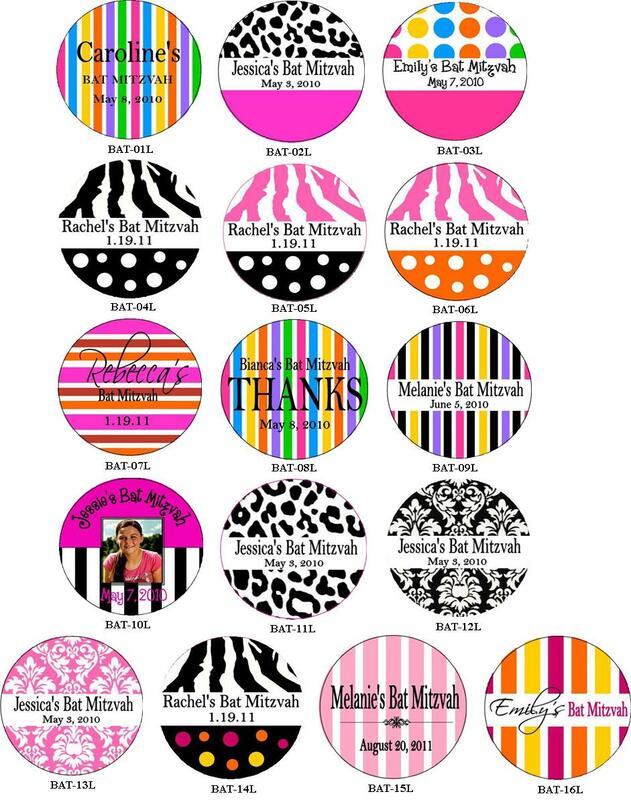 These are Custom Personalized Lollipops made especially for you! Bat Mitzvah Lollipops are a great way to celebrate your daughters special day, and they will look fabulous on your tables too! We can add a photo of the Mitzvah girl FREE! Your Bat Mitvah Swirl Lollipops come all dressed up and ready to go. Each 3" round Whirly Pop measures 6" tall with the wooden stick! Now that's a nice size Favor! These Pops are proudly made in the USA. Each Swirl Pop comes complete with cellophane and satin bow, these Personalized Lollipops make the best Bat Mitzvah Party Favor! These Swirl Pops are authentic Whirly Pops not imitation.